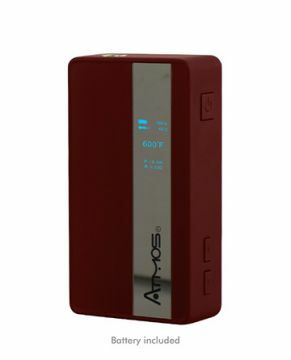 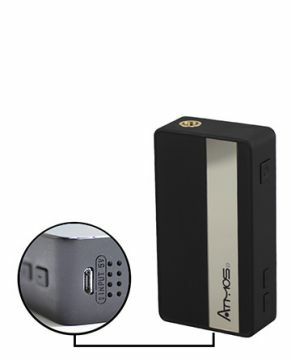 The Atmos i150TC Box Mod is the first entry into the temperature control vaping world for AtmosRX. 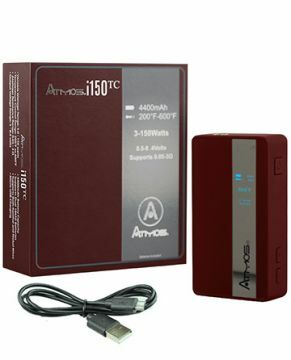 The i150TC Mod has a huge power output range of 3W-150W with a temperature range of 200°F-600°F for precise temperature control vaping. 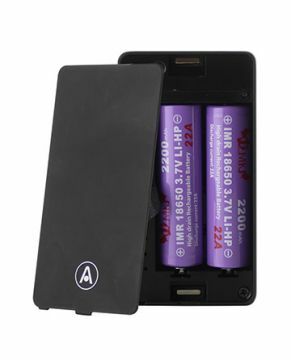 This device is powered by two removable 2200mAh lithium-ion batteries (included) that can be charged with the included micro-usb cable and features a sleek reflective LED display that shows room temperature, current wattage output, atomizer resistance, remaining battery life and other pertinent information on one user-friendly screen.